Improves posture, strengthens thighs, can help relieve back pain. 1) Come to stand with the big toes touching. 2) Lift up all your toes and let them fan out, then drop them down creating a wide solid base. You can separate your heels slightly if your ankles are knocking together uncomfortably. 3) Bring your weight evenly onto all four corners of both feet. 4) Let the feet and the calves root down into the floor. 5) Engage the quadriceps and draw them upward, causing your knee caps to rise. 6) Rotate both thighs inward, creating a widening of the sit bones, and tuck your tailbone in between the sit bones. 7) Tone the belly, drawing it in slightly. 8) Widen the collar bones and make sure the shoulders are parallel to the pelvis. 9) The neck is long, the crown of the head rises toward the ceiling, and the shoulder blades slide down the back. 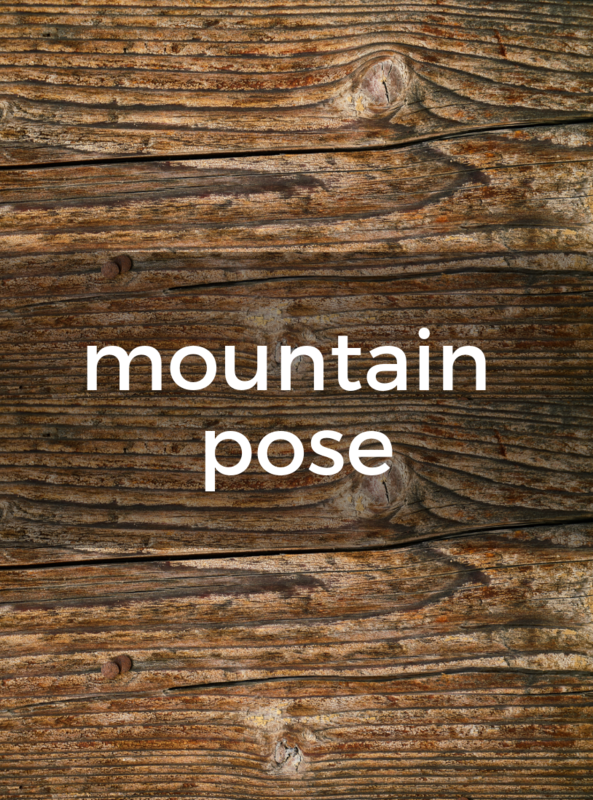 Practice the pose with your back to the wall so you can feel the alignment.